Our ocean has been the guardian of life on earth. Now it is our turn to be guardians for the ocean. Directed by Karina Holden, it screened at the recent Sydney Film Festival. PG. Blue screens at local cinemas (including Palace Norton St and Dendy Cinemas Newtown) from Oct 12. 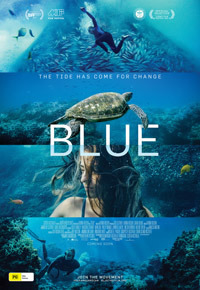 Thanks to Transmission Films we have five double in-season passes to Blue to give away. It’s not hard to enter – all you have to do is email us at info@ciaomagazine.com.au with your name and postal address and let us know you’re interested. We’ll let you know if you’ve won.